There’s very little left of 2013. Before you know it, the holidays will be over and it’ll be time to put up a new calendar. Until then, you can still take advantage of your remaining dental benefits. The way most dental plans work, the patient has a deductible he or she is responsible for paying, plus a yearly maximum. The yearly maximum is what an insurance company will pay over the course of the year to help a patient with important care. 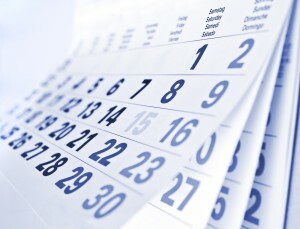 If you end the year with some of your dental benefits left over, what you have left doesn’t rollover to the next year. It starts over again. That’s why our entire team at Dr. S. John Salivonchik’s Whitehall office wants to encourage you to use the dental benefits you still have before the year is over. Besides a new deductible and yearly maximum, 2014 could also bring changes to your premiums and co-pays. Do you still need one more checkup for the year? Do you know you need help with one or more important general or restorative dental services? Call us today to reserve an appointment. During your visit, we would be happy to assess your oral health needs and recommend a personalized treatment plan that addresses those issues. Our office is located in Lehigh Valley and serves patients from Whitehall, Allentown, Bethlehem, Easton, The Poconos, and surrounding areas.